Media Coaching is not just for authors. Anyone who wants to leverage the power of broadcast media to promote a product, business, cause, or anything else will be able to do so with confidence after completing this program. You can sound like the pro you are! 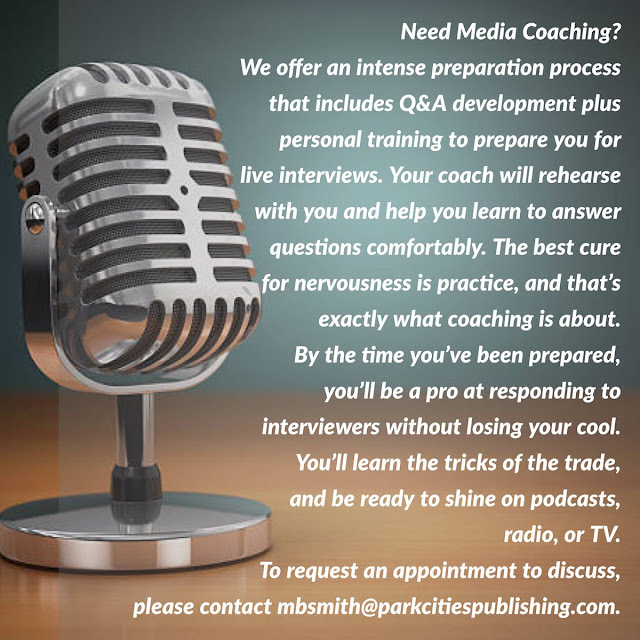 Contact us to discuss at mbsmith@parkcitiespublishing.com.